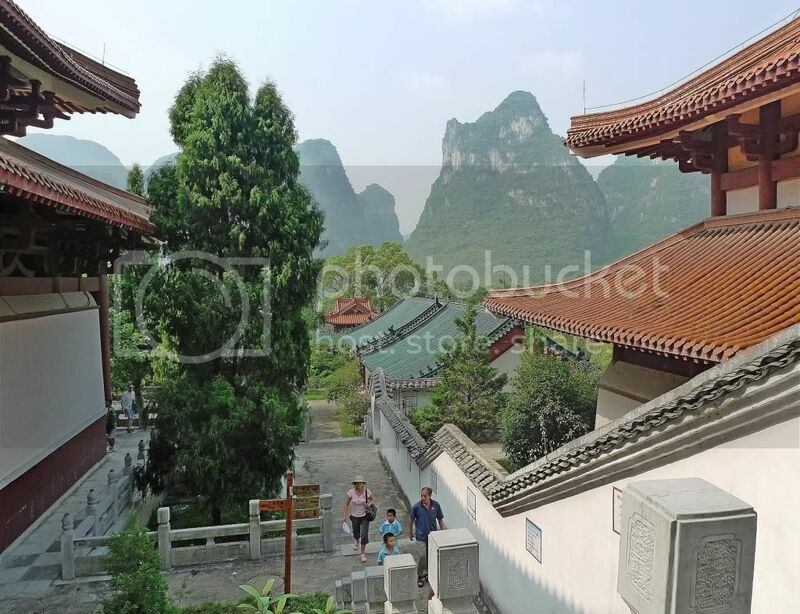 The first place we visited in Yangshuo was Jian Shan Temple. 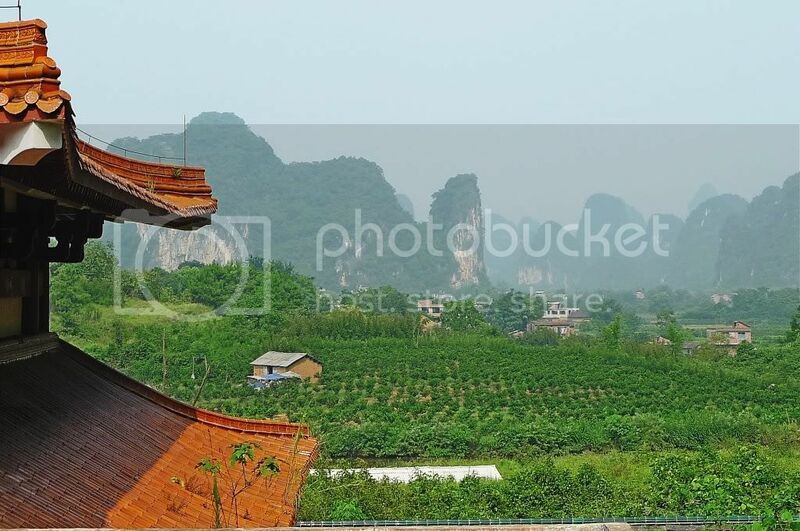 It is reputed to be the oldest and largest temple in Guangxi Province. Originally built in the year 713, it was destroyed during the war in 1961. 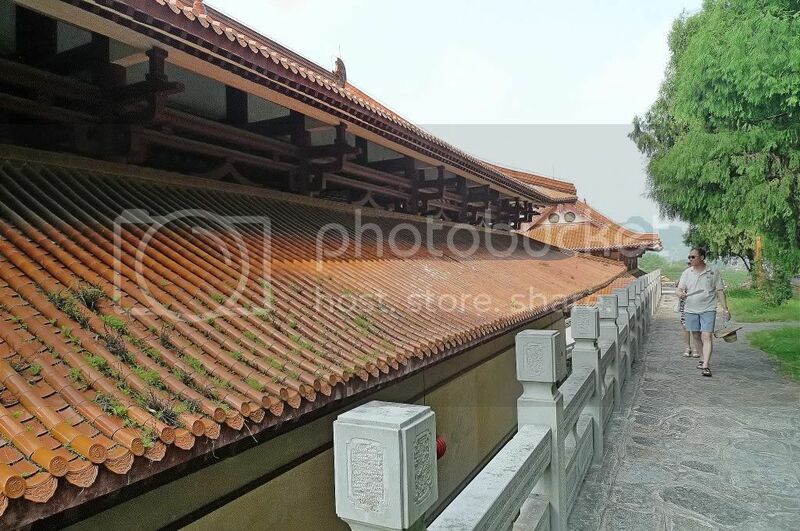 The local government then had it rebuilt in 1995 in the typical architectural style of Tang Dynasty. I did not follow the tour guide around as she explained in detail about the history of the place. Besides, she was speaking in Mandarin which I hardly understand. So I just walked around the temple taking pictures. Look at these interesting structures! Do you know what they are for? I also saw some pretty interesting sculptures on the roof. Now are these horses or dragons? 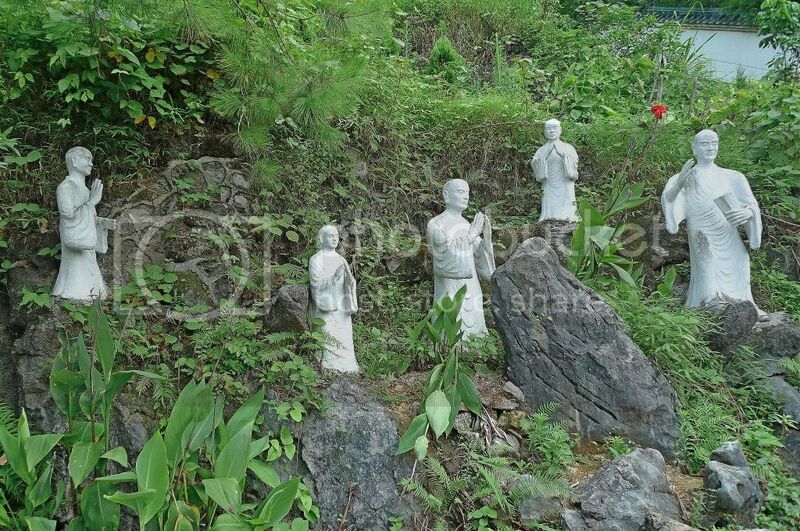 From where I stood, I could see some statues at the top of the stairs. I climbed the stairs and found more statues there. The views around the temple were nice. I found the temple to be clean and peaceful. I saw tall figures of Buddha inside the main hall of the temple but I was not sure if it's a good idea to take photos. So I decided not to take any photos of the interior but just focused on the scenery outside the temple building. 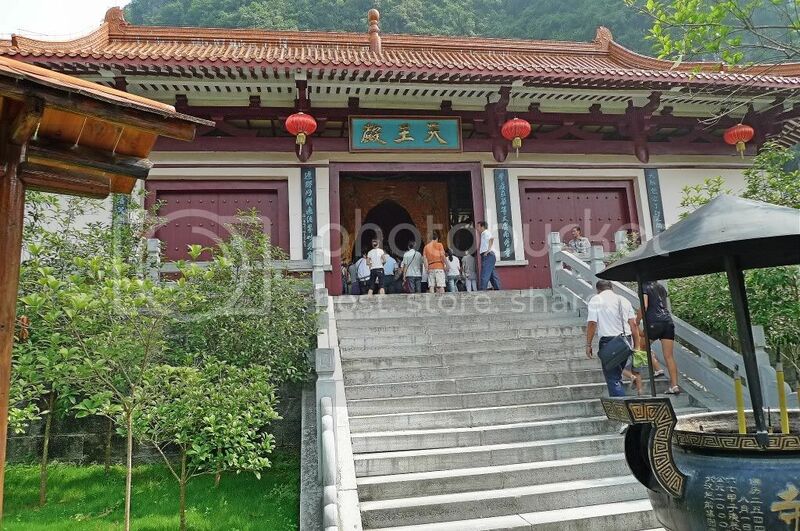 It was said that the famous great monk in China called Jianzhen who helped propagate Buddhism in Japan, had been to this temple before. I like the green hill in the background of this photo below. I was glad to be able to visit this temple but we were given only a short time here as we had four other places to go after this. The tour guide did not seem too pleased with some tourists for returning to the tour bus late. All the more reason for us not to pay the tour company! What kind of attitude was that? But if you want to know if we ended up paying them or not, you would just have to be a bit more patient as I cannot reveal just yet! Next, we headed to Big Banyan Tree which I shall blog about in my next post coming right up. wow early stalk from fufu! good morning guys! This reminds me of my history of architecture days! ahahaha something i don't want to come back to! at least you had your fun time snapping shots since you hardly understand your tout guide. friday night here now! yipee!! OMGoodness! This is such an amazing place but what a pity you were not allowed more time. It is times like these that you wish you had not followed a tour, eh? 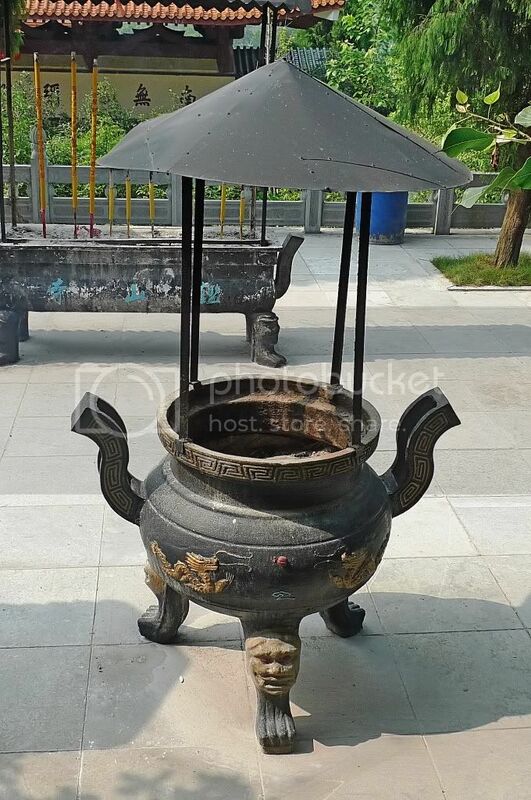 Those holders in pictures 2 and 3 are joss-stick- or candle-holders, I believe. Are they not being used, Foong? Animal statues in temples normally look unusual. That's because they are celestial animals, like the Chi lin. But you already know that being a fengshui practitioner yourself, eh? 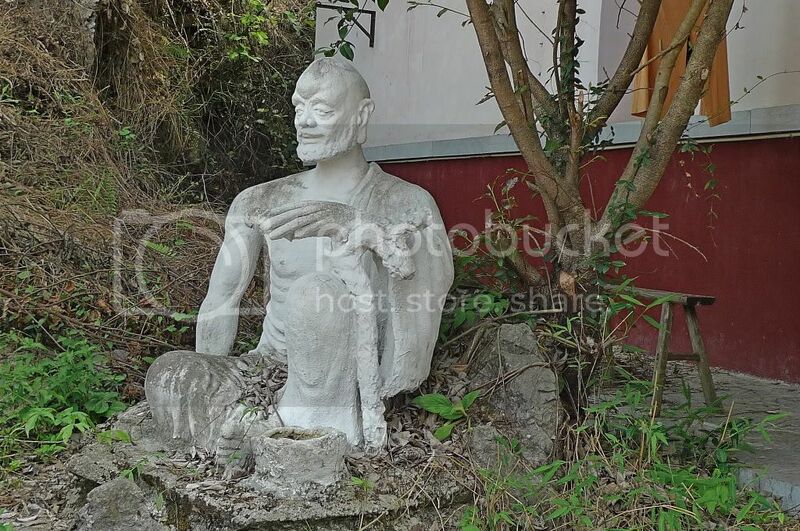 Those statues of boddhisatvas are very interesting. How tall are they? 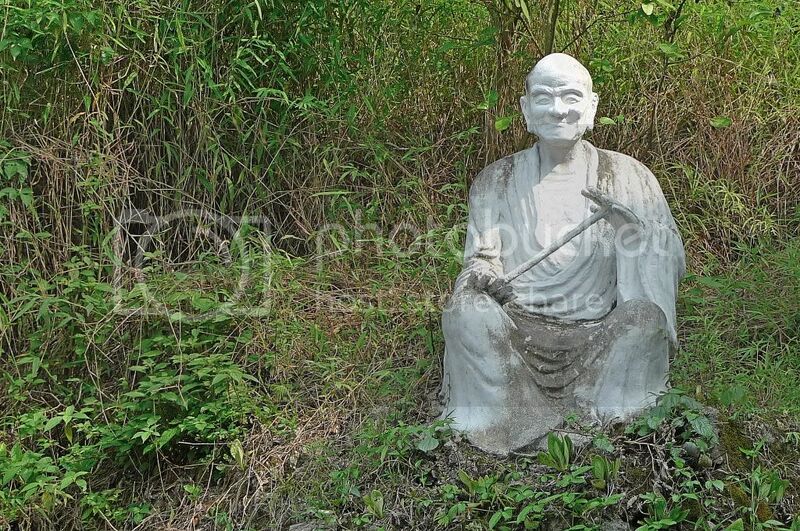 No harm in taking photos of Buddha and sharing them. 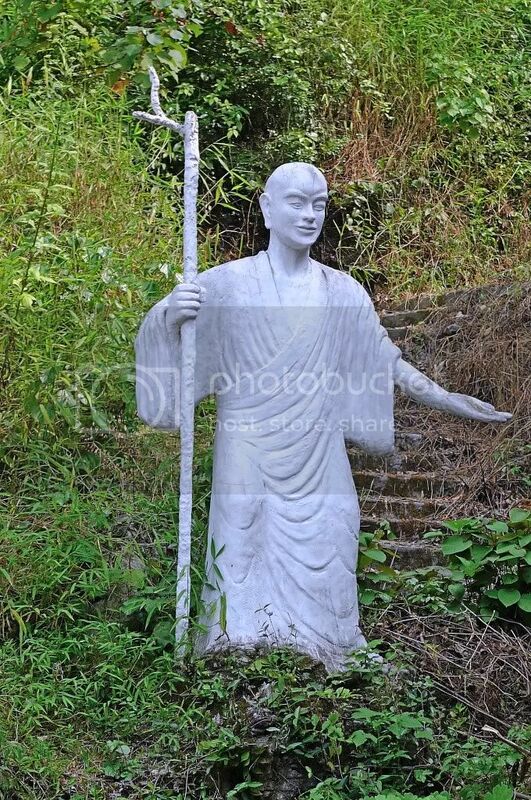 Actually, one would be doing a good deed because you'll be exposing more people to the sight of Buddha. 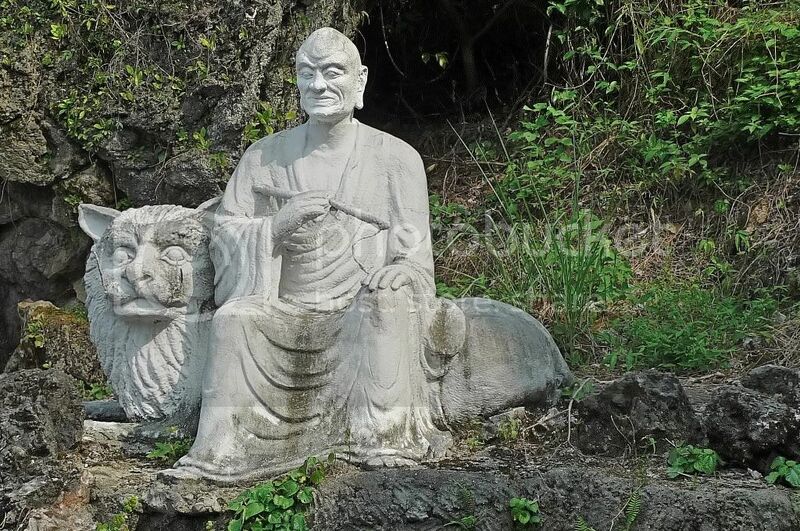 Believe me, not everyone has actually seen how Buddha look like. True, Foong. 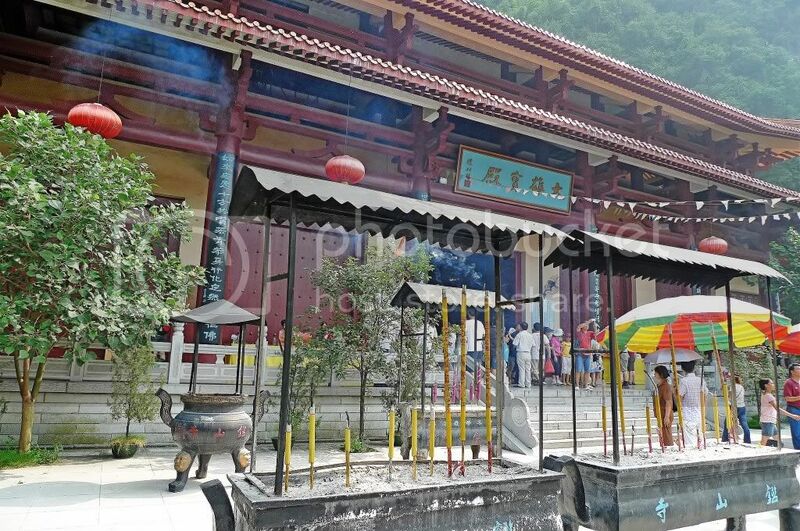 You wrote: It was said that the famous great monk in China called Jianzhen who helped propagate Buddhism in Japan, had been to this temple before. Amazing! A piece of history here.. The last picture is truly a sight to behold. Is the place quiet? Thank you for taking us on this tour, Foong. Wonderful pictures. Can't wait for more. I had to rely on fellow tour members for info. In that peaceful surrounding, did you contemplate on life, foong? :) Pity you can't be there longer. yeah, horse or dragon ah????? 9 sculptures? You mean they have these similar sculptures in Beijing? Interesting! Of course the tour company wouldn't let us off without paying but did we escape? That's the question yes? Haha! ayie, sorry to say but it's good night from here right now. You don't want to be reminded of your architecture days? Why? happysurfer, yes you are right - they are for the joss sticks and candles. But they were not being used at that moment, I guess. Oh yes, I know the chi lin of course. Me and my feng shui! haha! 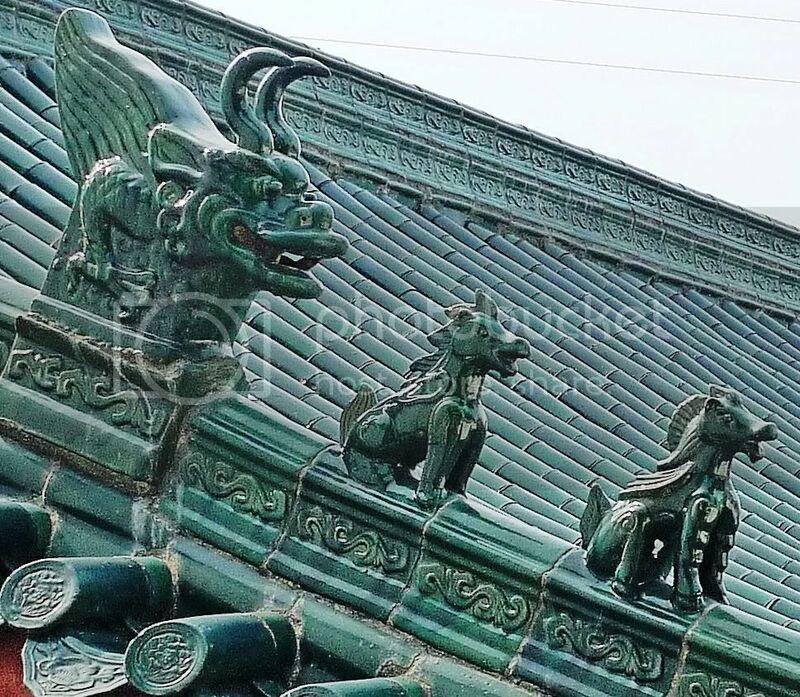 Yes, I think you are right, those animals on the roof are celestial animals - don't really exist do they? The Buddha statues were very tall - not sure how tall, maybe 5-7 metres? 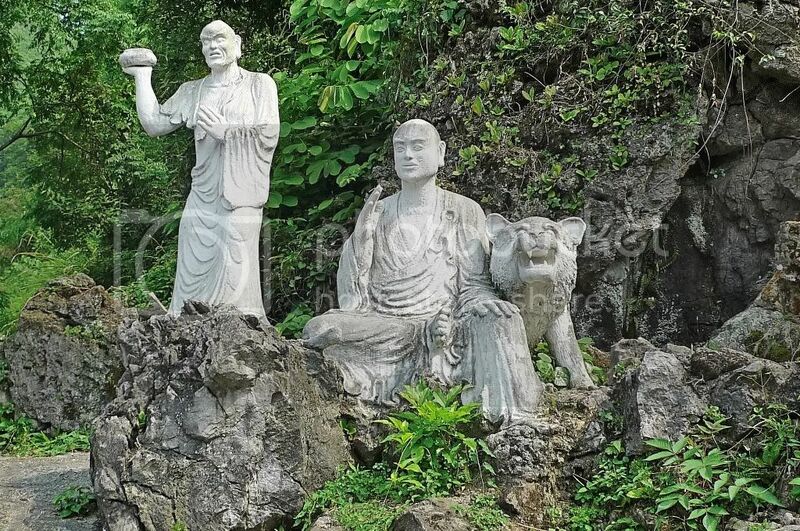 Oh, so no harm in taking photos of the Buddha statues and deities? 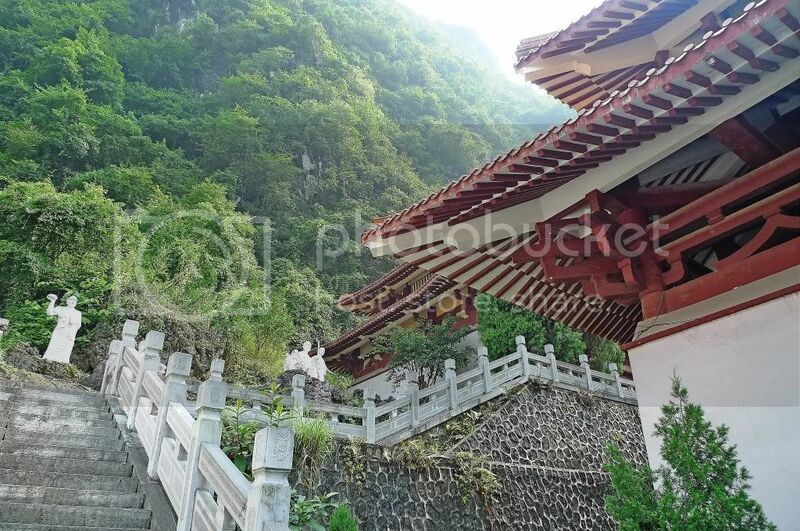 I think I took some photos of them in another temple I visited in Guilin. That's because I saw people busily snapping away! LOL! The temple is rather quiet if you don't take into consideration of all those tourists there! 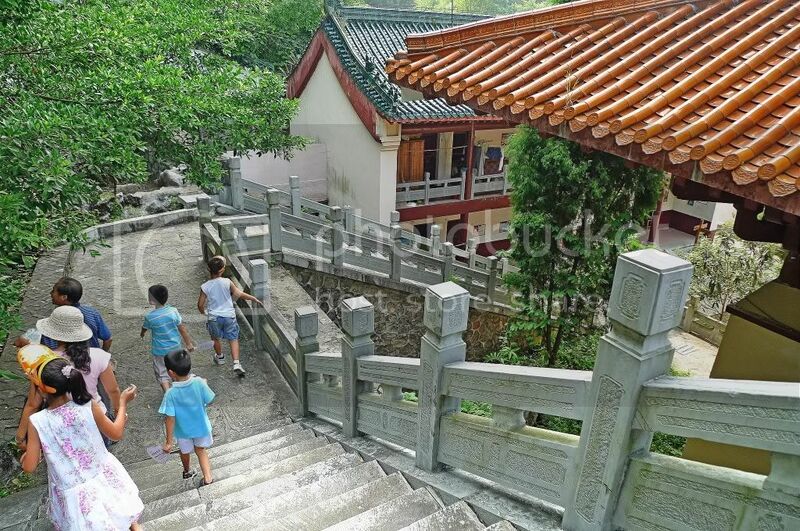 Most of the tourists went into the temple building so outside it was rather peaceful and quiet - just what I liked! lina, what did you do all night? Most of the tour guides in China speak mandarin only. Rare to find English tour guide there! 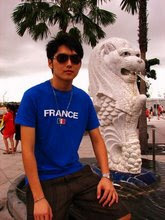 mei teng, I can understand the tour guide's concern of keeping to the schedule and be on time. But she did not have to show her unhappy face, right? manglish, angels and demons? Haha! a few rounds of bedminton, that's what! Wahahaa!!!! So the tour guide was not happy that some tourists were late? That's why sometimes it is better to travel on your own. You can have more time at the interesting places, rather than being dropped off at souvenir stores. As a shutterbug, I certainly need more time to take photos. BTW, can you take a survey at my site? You will complete it in a few minutes. But once you climbed up the stairs...everything is so gorgeous. The statues are really a sight to behold. And I notice they have been placed nicely around the greens huh? Now that makes them more natural. lina, wah! last minute desperate attempt to slim down and get fit? LOL! 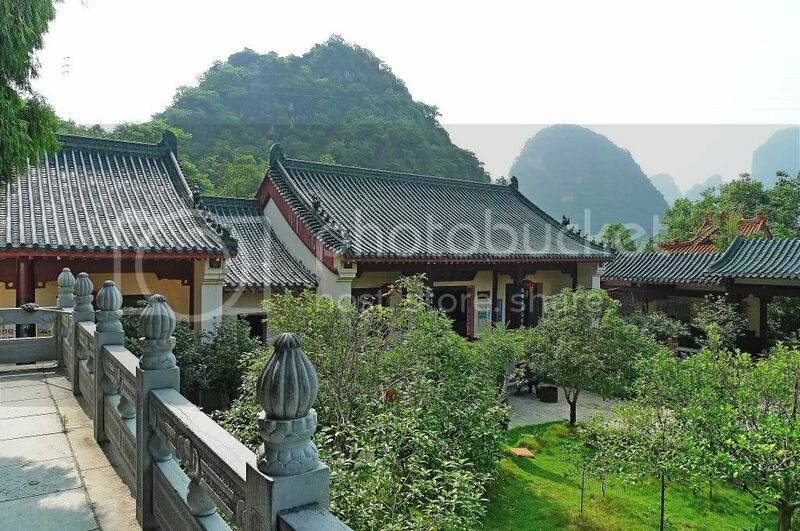 khengsiong, yeah it's always better to travel on our own, but this tour is good as it saves money and is more convenient for us. tekkaus, yes you are right about the structures. You saw a chicken sculpture? Which one? Haha! im so very impressed with your blog, i learn a lot from it. Nice posting and content. 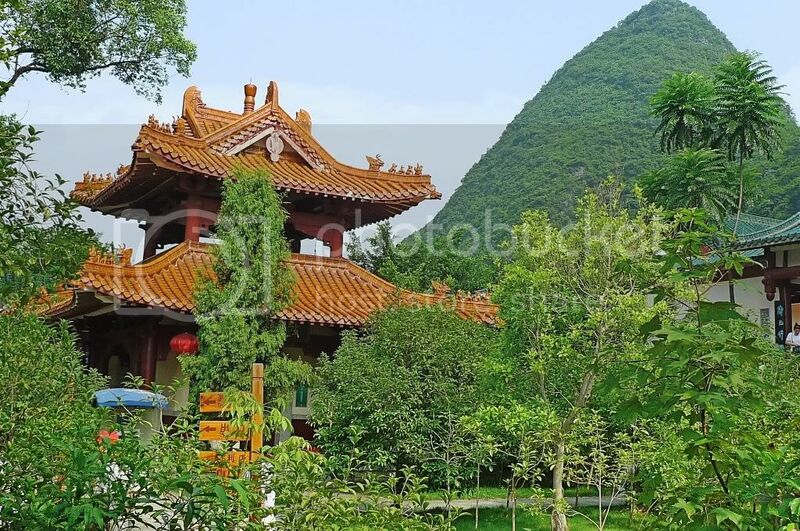 wow the pagodas are so nice! I love the scenery too! 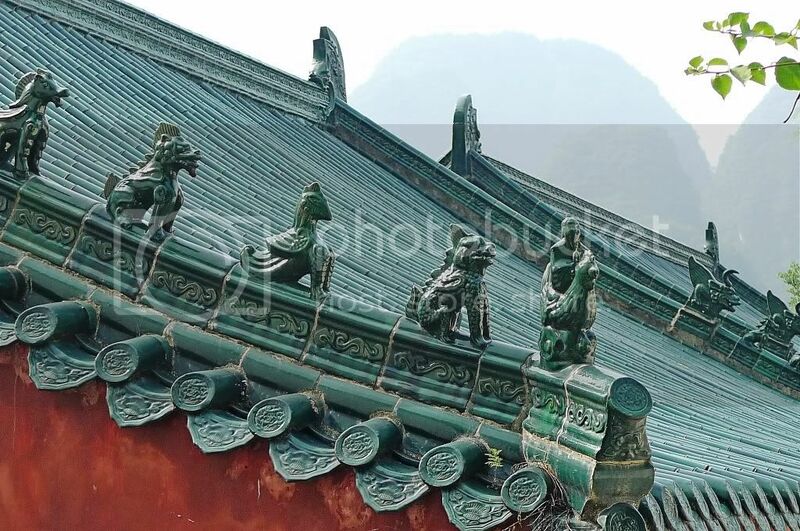 Statues, carvings... lovely, foong! thank you! Well, least this wasn't a bad visit. borneo falcon, you don't mind being a monk here? *gasp*! monica, what? You can't see the pics? ladyviral, I was wondering what pagodas you were talking about! 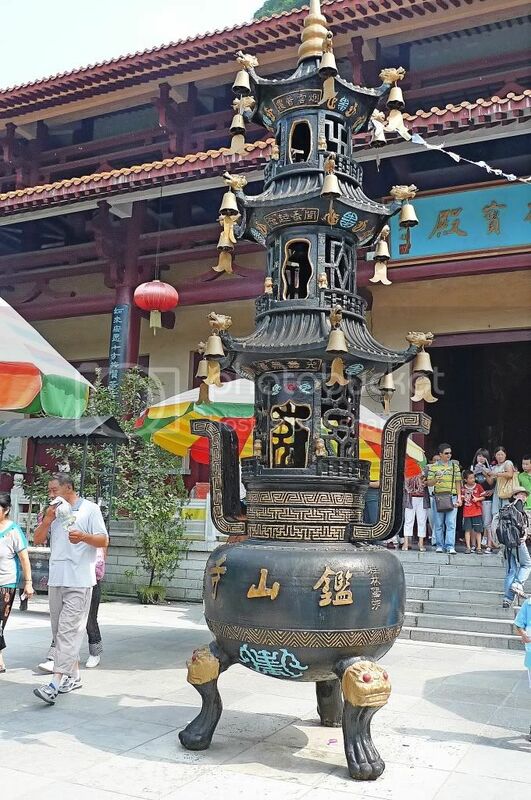 Sure no pagodas in the temple! Haha! The temple is so majestic! It looks so peaceful.... ideal for meditation. eastcoastlife, yes it's very peaceful there and even more so if there's no tourists! The flight of stairs are not that high actually, no problem for you! Nice photos! I did not went in the temple. So your photos kind of compensate for what I did not get to see! Did We Pay The Tour Company?